Heart of Voh (Fr. Cœur de Voh) is a patch of vegetation (mangrove) in the small commune of Voh, New Caledonia in Pacific Ocean. 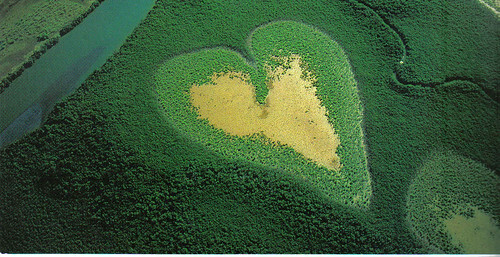 The naturally formed heart shape was noticed by the planes flying over the region but it got its name and fame when International journalist, French Photographer Yann Arthus-Bertrand showcased the heart shape in his famous photographic book entitled "Earth from Above" (la Terre vue du ciel). The book is a collection of several beautiful landscapes around the World, taken from helicopters and hot-air balloons.